It’s an Emergency – Should You See Your Doctor or Your Dentist? 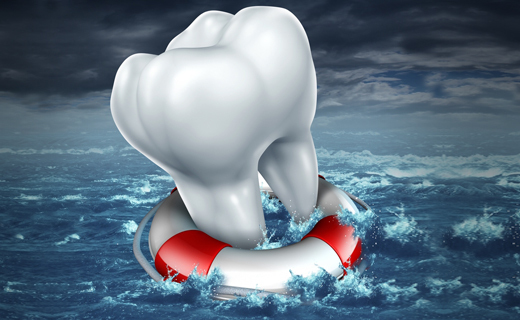 When a dental emergency strikes, knowing where to go and who to call could mean the difference between saving or losing a tooth. In some cases, it could even determine the future of your general health. Different injuries and conditions require different types of medical expertise. Treatment from the wrong provider could reduce the chances of a good outcome. In the worst cases, it could even lead to preventable complications. Unfortunately, emergencies rarely happen when you’re prepared for one. Accidents and sudden symptoms can occur at any time or place. Consider the following points to help you choose the best course of action in an emergency dental situation. When to Call Your Dentist A dental emergency that is not life threatening, but still needs immediate attention, can be handled by your dentist. Examples include a cracked or fractured tooth, a lost or knocked-out tooth, or pain from a cavity, wisdom tooth or lost filling. Pain caused by an abscess may not require hospital care. If there is no swelling or fever, and you are not finding it difficult to breathe or swallow, your dentist can probably treat your abscess in the office. Always call your dentist in Atlanta first when the dental emergency involves a tooth. Hospitals do not have the right equipment or expertise to save or restore teeth. When to Go to the Hospital Dental emergencies that involve the face or mouth and need immediate care include jaw fractures and dislocations, serious soft tissue injuries, and abscesses with severe swelling. If you are immuno-compromised or have a serious, chronic illness, it is especially important to get treated by emergency medical personnel or at a hospital. Conditions that indicate a need to call 911 or go directly to the hospital include sudden impact to the head or neck, severe swelling or bleeding, sudden and severe pain, and difficulty breathing or swallowing. After-Hours Emergency Dental Care When a dental emergency occurs outside of office hours and there is no after-hours emergency dental clinic nearby, call your dentist’s office anyway; the recorded message may offer alternative care resources or emergency instructions. If you are experiencing severe symptoms and still have no way to get to a dentist immediately, proceed to your nearest urgent care center or emergency room. The providers there may not be able to solve your dental problem, but they can provide pain relief until you can see your dentist. To learn about our family dentistry practice in Atlanta, call today at or make an appointment. Dental One Associates offers affordable family dentistry and gentle, compassionate dental care in Atlanta. With 8 affiliated practices throughout Georgia, our offices are conveniently located with extended hours to meet your needs. At , we provide most dental services, from basic preventative care and general dentistry to specialized procedures and complete dental reconstruction. We accept most dental insurance plans and offer affordable financial solutions for any budget. Patient satisfaction is our top priority and we strive to provide the exceptional, affordable dental care and personal touch that lead to lasting relationships. A smiling patient is our greatest reward and we look forward to keeping those smiles healthy, beautiful, and bright. Discover an affordable dentist who truly cares at .